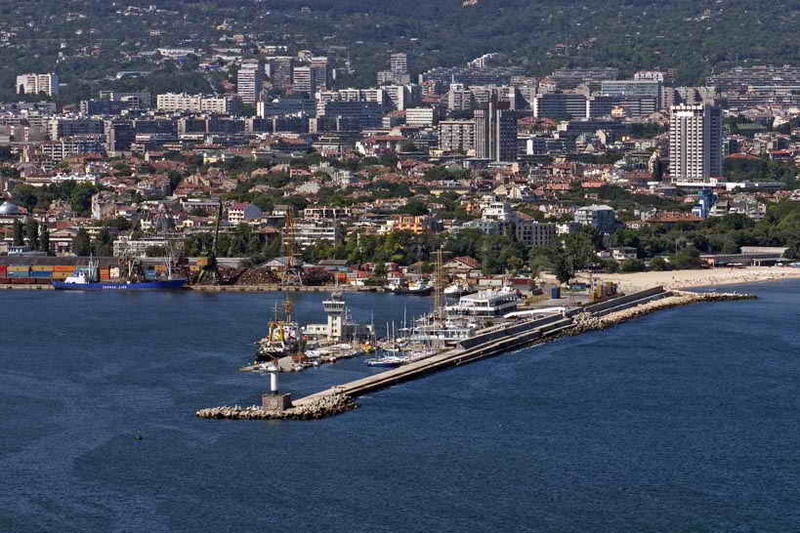 Varna is Bulgaria's Sea Capital and the third largest city in Bulgaria. The biggest city at the Bulgarian coast is clean and green, surrounded by gardens, vineyards and groves and lies in the Bay of Varna, 469 km north-east of Sofia. Varna is a city of old culture. Founded by Miletian Greek colonists in the 6th century BC as Odessos, through the ages Varna and its busy harbor rose and fell in importance as a trading center and strategic military outpost for Romans, Byzantines, Proto-Bulgarians, Ottomans and others Nowaday. The Sea Capital is a symbol of blooming touris. Some of the most prestigious Black sea resorts are situated nearby the city - Albena Resort, Golden Sands Resort, St. Constantine and Helena Resort, Riviera Resort, Sunny day Resort. Along the coast are picturesque places like the Royal Palace in Balchik, Kamchiya of nature reserves, and the hillside monastery Aladzha. Evksinograd - a small palace in the vicinity of Varna, isituated amidst a beautiful park with rare exotic plants and built for a summer residence of Knyaz Alexander of Battenberg and later used by tzars Ferdinand and Boris III, nowadays - a residence of the government. The building is situated amidst a beautiful park with rare exotic plants. The Sea Garden Park is an emblem of Varna City. Its construction begins in 1878. Within the park area one can find the Seaside Baths, the Navy Museum, the Museum of Natural History, the Astronomical Observatory and the Planetarium which organizes observation seances for visitors, the first of its kind in the Balkan Peninsula is the Dolphinarium with an amusing show. The main landmark in the center of the city is the Cathedral of Varna, which is an icon of Varna different due to their windows and murals. Varna is also the home of the Roman baths called that once enjoyed the distinction of being one of the largest buildings in the Roman Empire. In 1972 on the northern bank of Varna lake was discovered the Varna halocline necropolis, dated from the second part of the fifth millennium BC. Over 3000 golden tools with total weight of 6, 5 kilograms were found there and they are considered to be the oldest cultivated gold in the world. Please read hotel reviews, promotion, bookings and choose from our hotel list the best hotel deal for your summer holidays in Bulgarian City of Varna.